We are delighted to announce the continuation of our working partnership with Commissioners of Irish Lights. 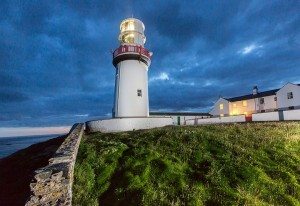 It is thanks to this relationship that we have the existing properties of lightkeepers’ houses at Galley Head in Co. Cork, Blackhead in Co. Antrim, Loop Head in Co. Clare and Wicklow Lighthouse in our portfolio. Watch this space for announcements of exciting new places for next year.